People pay all sorts of money for "pedigree" cats. 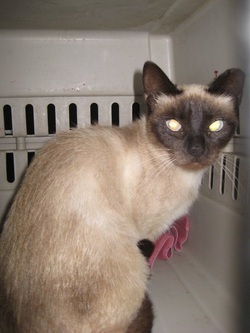 This Siamese girl was a feral cat recessive gene mystery. She was the only kitten to survive in her litter, (also the only Siamese in 3 years in her colony) which may explain why she was such a lackluster mother. She had no interest in raising kittens, and probably found it a relief to be spayed and brought back to her home to focus on the more relaxing things in life.